This particular post is a stray from the content that I normally write. While all of my posts have been centered around Biblical teachings, this one in particular is for the Critter loving folks out there. 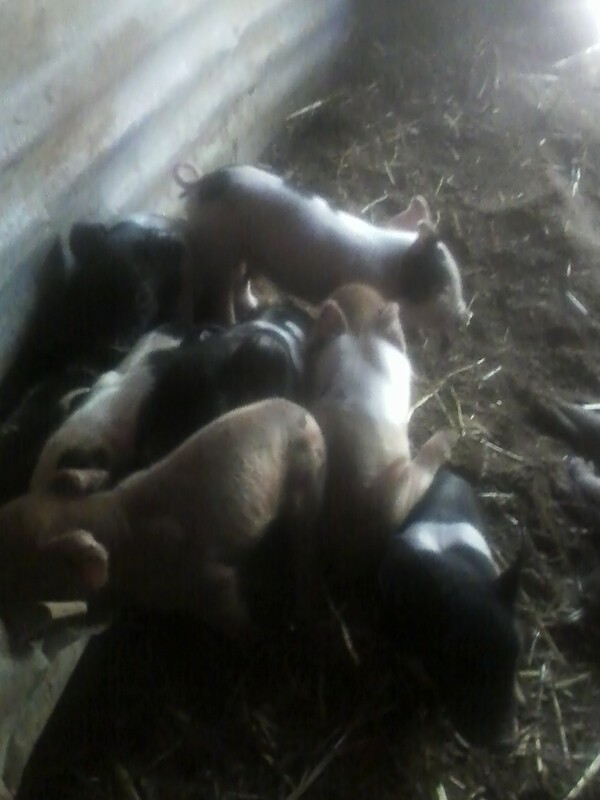 I am happy to announce that my Sow (female pig) had her first litter of piglets. Technically she was called a Gilt before the birth, but I’m not into name calling. Of the litter, eight are healthy. Unfortunately Momma abandoned two because they appear to have some special needs. One that was abandoned has no ear holes and the other may be blind. I’m calling the deaf one Helen and the blind one Keller. Now, don’t get in an uproar; I’m not being insensitive by giving them those names. I gave them those names because they are true fighters. Actually, they are being overly pampered by my wife and my nephew’s wife…bottled fed, in a basket next to a heater, with a nice soft blanket to lay on. Yep, they are already spoiled. How about a “Happy Birthday” shout out to these cute little critters!